Providing a full line of customized insurance solutions to protect investments and operations unique to the hospitality industry. Serving hotels, motels, bed and breakfast inns, restaurants, and resorts throughout Maryland, Washington DC, Virginia, Delaware, Pennsylvania, New Jersey, Florida, South Carolina, and Wisconsin. Business liability insurance protects your business against against lawsuits and devastating claims for things over which you may have little control. The three main types of business liability insurance include general business liability, product liability and professional liability insurance. Maryland requires all businesses in the state to carry workers compensation insurance. Workers’ compensation is an insurance program established by State law that all employers having one or more employees, full or part-time, are required to have for the benefit of their employees. With few exceptions, every employer in the State of Maryland with one or more employees is required by law to provide workers’ compensation coverage for their employees. An employer or employee cannot waive provisions of the Workers’ Compensation Law. Personal and business vehicle insurance. 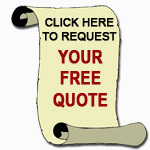 Policies available for automobiles, SUVs, trucks, vans, motorcycles, boats, campers, RVs, buses, planes and more. Life insurance for individuals or businesses. Policies tailored for you, your family, loved ones and your business. Providing personal property insurance coverage for automobiles, homeowners, renters and other valuables. Make sure you are adequately protected. Our Hunt Manor of Harford office is located in Bel Air, MD and is convenient to Aberdeen, Aberdeen Proving Grounds, Abingdon, Baldwin, Bel Air, Belair, Belcamp, Benson, Bently Springs, Bush, Churchville, Conowingo, Darlington, Edgewood, Edgewood Area of Aberdeen Proving Ground, Edgewood Heights, Fairview, Fallston, Forge Acres, Forest Hill, Fork, Glen Arm, Glenco, Green Spring Hills, Gunpowder, Havre de Grace, Hydes, Kingsville, Jacksonville, Jarrettsville, Jerusalem, Joppa, Joppatowne, Loch Raven, Long Green, McComas, Monkton, Norris Corner, Nottingham, Parkton, Perry Hall, Pleasant Hills, Pylesville, Riverside, Sparks, Street, Taylor, Upper Falls, Warwick, White Hall, White Marsh, and Whiteford. If you are located in Maryland, Washington DC, Delaware, Pennsylvania, Virginia, New Jersey, South Carolina, Wisconsin or Florida; give us a call or request your free insurance quote. In Maryland, we serve the Baltimore Metropolitan area: Baltimore County, Baltimore City, Carroll County, Harford County, Howard County, Frederick County, Cecil County, Anne Arundel County and Washington DC. 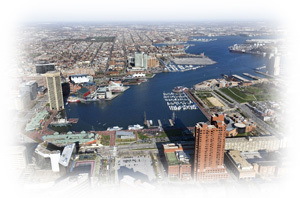 Some of the cities and towns in our Baltimore-Metropolitan service area include Aberdeen, Baltimore, Baltimore City, Bel Air, Boring, Bowleys Quarters, Brooklyn, Carney, Catonsville, Chase, Cockeysville, Columbia, Curtis Bay, Dundalk, Edgewood, Eldersburg, Essex, Glen Burnie, Greenspring, Hamiliton, Hampstead, Harford, Hunt Valley, Little Italy, Joppa, Lutherville, Middle River, Mt Airy, Nottingham, Owings Mills, Park Heights, Parkville, Perry Hall, Pikesville, Randallstown, Reisterstown, Rosedale, Sykesville, Timonium, Towson, Westminster, White Marsh and surrounding areas.